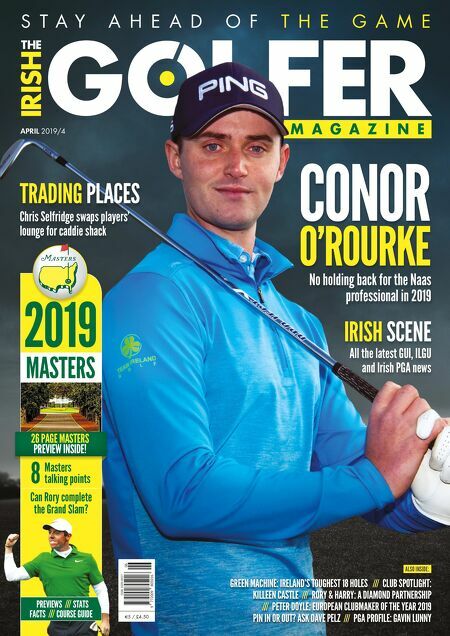 S T A Y A H E A D O F T H E G A M E APRIL 2019/4 2019 PREVIEWS /// STATS FACTS /// COURSE GUIDE CONOR No holding back for the Naas professional in 2019 O'ROURKE E5 / £4.50 ALSO INSIDE: All the latest GUI, ILGU and Irish PGA news IRISH SCENE MASTERS 26 PAGE MASTERS PREVIEW INSIDE! Chris Selfridge swaps players' lounge for caddie shack TRADING PLACES GREEN MACHINE: IRELAND'S TOUGHEST 18 HOLES /// CLUB SPOTLIGHT: KILLEEN CASTLE /// RORY & HARRY: A DIAMOND PARTNERSHIP /// PETER DOYLE: EUROPEAN CLUBMAKER OF THE YEAR 2019 PIN IN OR OUT? ASK DAVE PELZ /// PGA PROFILE: GAVIN LUNNY Masters talking points 8 Can Rory complete the Grand Slam?